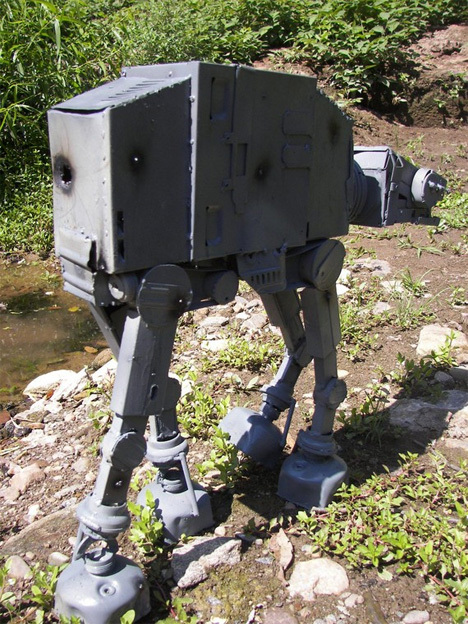 Imperial walkers aren’t only good for transporting troops around. They’re also a great way to geek up your decor, provided you can afford an unthinkably awesome sculpture like this one. 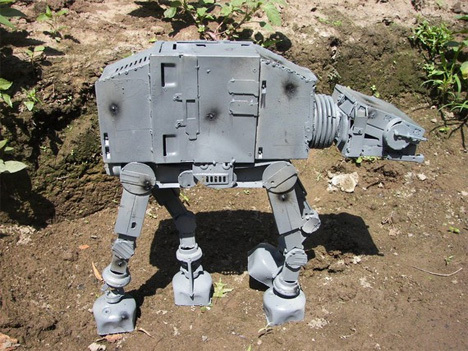 This 18 inch tall AT-AT was created by Sage Werbock (AKA the Great Nippullini) out of old computer parts and scrap metal. The walker’s body is made up of power supply boxes from old computers, the head is made of floppy drive housings, and the legs and feet are composed of various bits of scrap metal. After all of the bits were welded together and painted, Sage attacked the sculpture with a welding arc to make it look as though it had been injured in various battles. The very, very cool sculpture is up for sale on Etsy. It’s a one-of-a-kind offering, the likes of which the world may never see again. 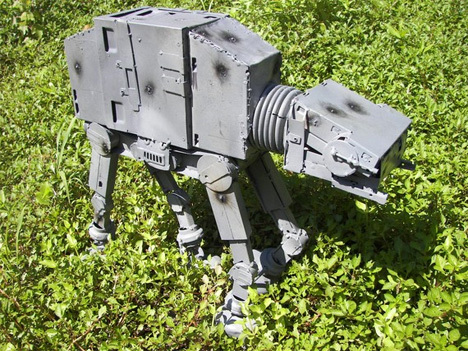 We instantly love anything that combines welding, recycling and geeky Star Wars references all in one shiny package. See more in Art of Tech or under Technology. February, 2011.